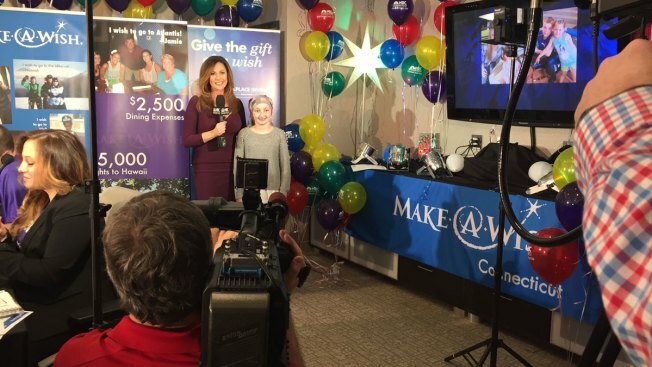 NBC Connecticut is connecting you to the Make-A-Wish Miles For Smiles campaign. Call 1-877-847-3030 today and donate your unused airline miles, which in turn will be applied to granting the wishes of local children who are facing life-threatening illnesses. All day long, volunteers will be at the NBC Connecticut studio answering the phones, accepting miles and monetary donations. You can also donate by clicking here. An average wish costs $10,000, so your donation is so important and appreciated. More than 75-percent of the wishes granted involve travel. Make-A-Wish grants the wishes of children faced with life-threatening medical conditions, giving them and their families a necessary respite from the challenges of their conditions. Participating airlines include United Airlines, Delta Airlines, American Airlines, Southwest and Jet Blue.